The Office in BGC provides millennials and entrepreneurs with modern workspaces, meeting rooms, and private offices to get the job done. Co-working spaces have been on the rise in the Philippines since the last quarter—and for good reason. For a lot of young entrepreneurs and millennials in the country, shared office spaces provide flexibility of use, convenience, and an environment of collaboration. These offices are also beneficial for freelancers, and small enterprises who don't have physical offices. According to a recent report, co-working spaces in the country are expected to grow by 15% in 2030. Recently, PLDT Enterprise teamed up with the newly opened co-working space, The Office Co-Work + Life, located at the heart of Bonifacio Global City. The Office aims to provide a venue for budding entrepreneurs to hold their day-to-day operations for a low premium. 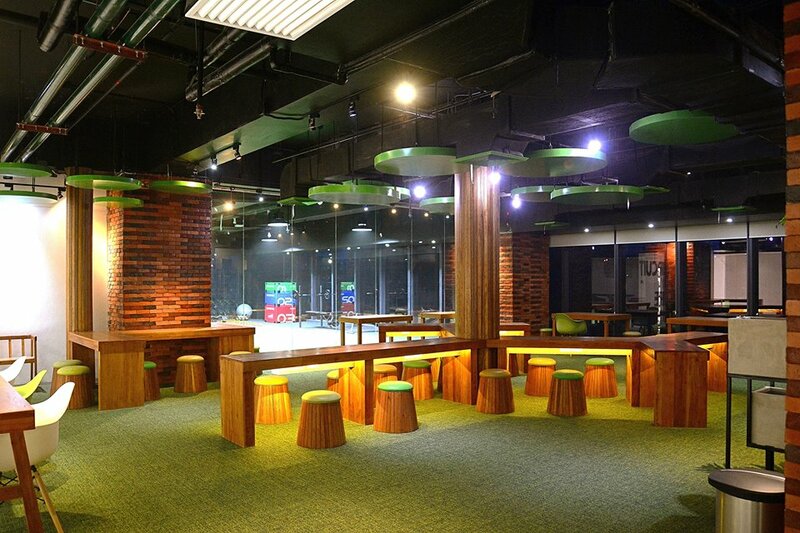 With the co-working space’s management dedicated to providing clients with the highest quality service, PLDT powered the facility with a unified connectivity and security solution founded on its iGate service. The Office aims to provide a venue for budding entrepreneurs to hold their day-to-day operations for a low premium. 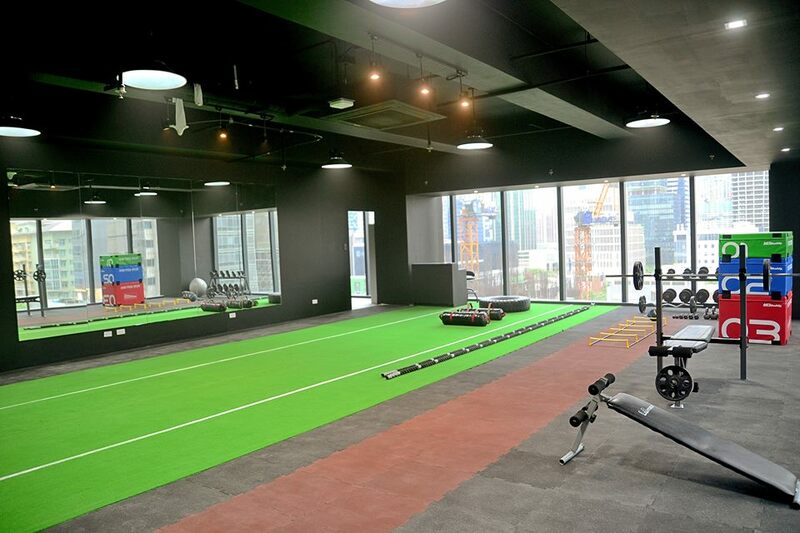 It even gives its customers access to a gym (below). “We envision THE OFFICE to over-deliver service in all its clients from different kinds of businesses, in almost all types of industries. With the state-of-the-art network infrastructure provided by PLDT, we have no doubt that our clients will always be at their best level of production on a day to day operation, with consistency, due to our provider’s strong and solid reliability, which will definitely enable all of them to succeed in their different endeavors,” said The Office Co-work + Life’s Vice Kogie Angeles. 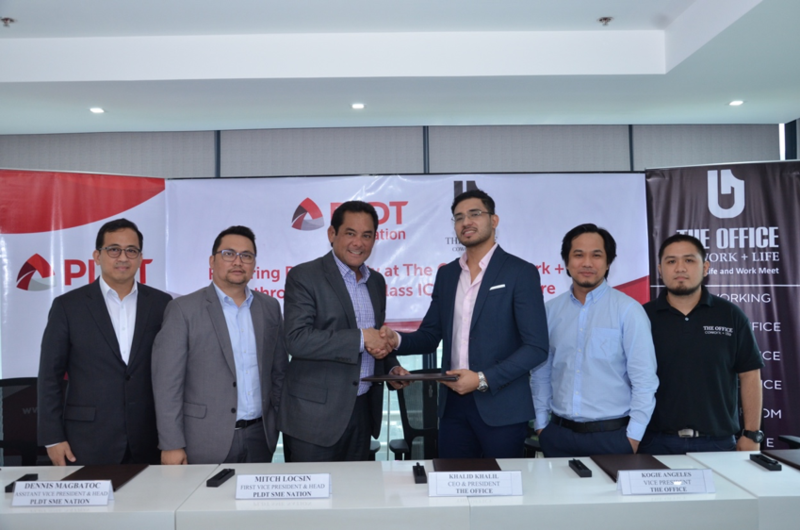 With PLDT’s nation-widest network infrastructure, Khalil says that they hope to edge out competitors as they expand their operations across different business centers in the metro. “Our partnership with The Office is truly one-of-a-kind. We’ve powered the space with a 200mbps internet connectivity and ensured the security of its customers through RFID technology. This really underlines how committed their team is to empowering start-ups such as themselves,” said AVP & Head of Corporate Relationship Management for PLDT SME Nation Dennis Magbatoc. THE OFFICE is situated on the 8th floor of High Street South Corporate Plaza, Tower l, located at 26th Street, corner 9th Avenue, The Fort, BGC, Taguig City, 1634 Philippines.